’Who tore down the picture?’ That is the whole story, from A to Z. They wanted to know who tore down the picture. 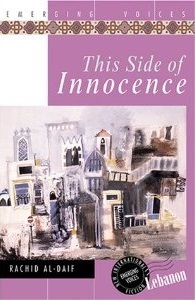 So opens Rachid Al-Daif’s This Side of Innocence, the story of one man’s run-in with the secret police of his unnamed, war-torn country. 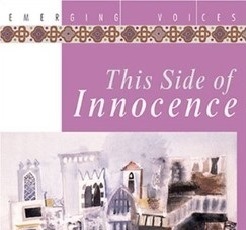 In ironic contrast with Al-Daif’s typically clear and frank literary style, this unreliable, “innocent” narrator relates more than an A-to-Z tale. The novel’s real story is about the deeply obscure events of a personal encounter with tyranny – the tyranny of the instability and chaos of a country at war with itself and consequently preyed upon by internal and external forces. In the end, we are left with the story of how one man (or country) can, innocently, invent his own executioner.